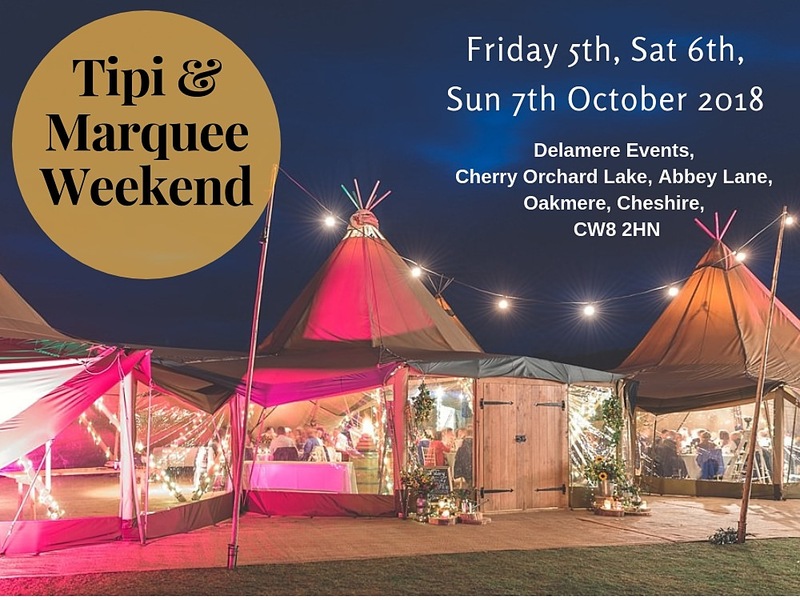 We are really looking forward to meeting all of you that have been in touch to let us know that you are coming to our Tipi and Marquee Showcase this weekend! 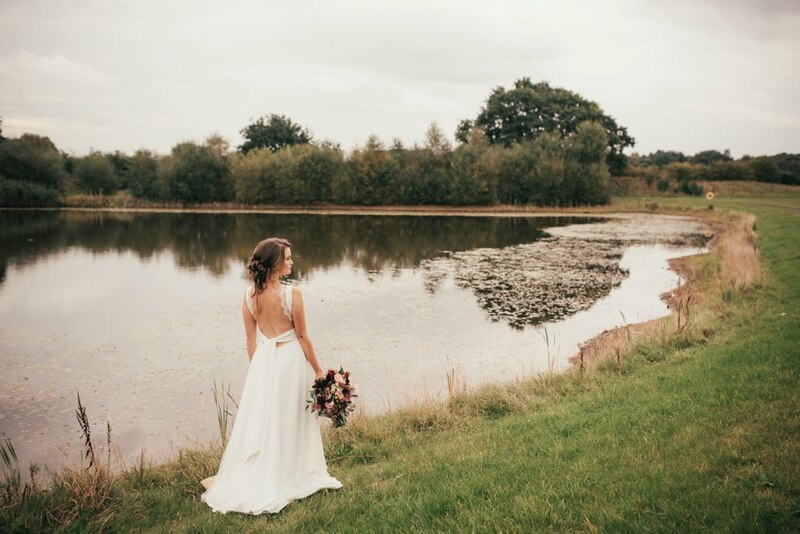 We will be at our beautiful lakeside venue Delamere Events this Friday 15th March (2-9pm) as well as all day Saturday and Sunday 16th and 17th March (10-5pm). 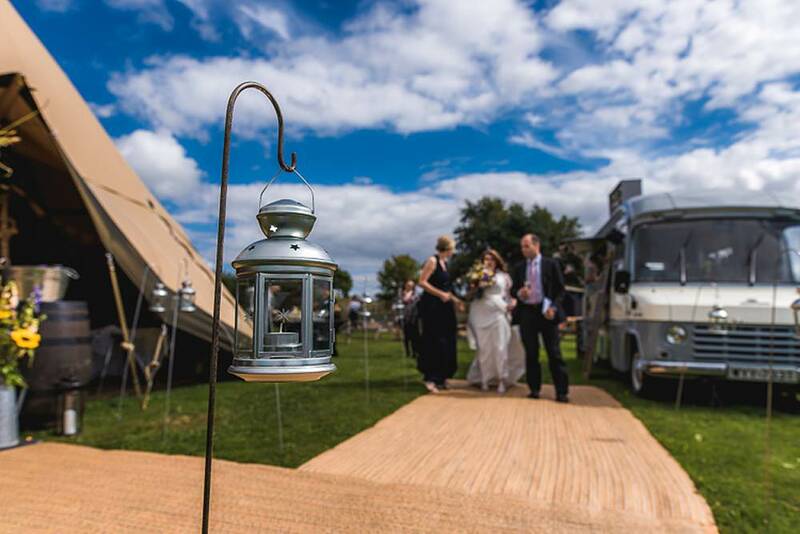 Come along and see the tipis, marquee, glamping village and street food zone, all set up and styled to inspire you for your own wedding or event! Don’t forget you can still get in touch to let us know you are coming along and reserve your goody bag, or just come along on the day, no appointment necessary. 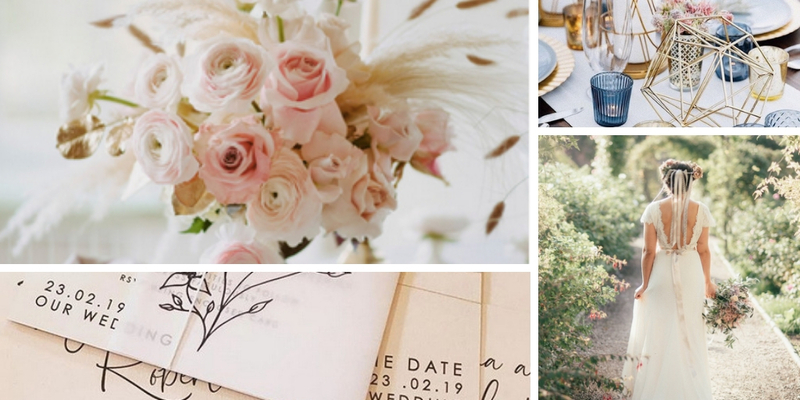 So with just days till the open weekend, we wanted to give you a little look behind the scenes at the styling inspiration that’s been going on here at All About Me with our brilliant suppliers. (PS you can see a full list of all our suppliers this weekend at the end of this blog post). 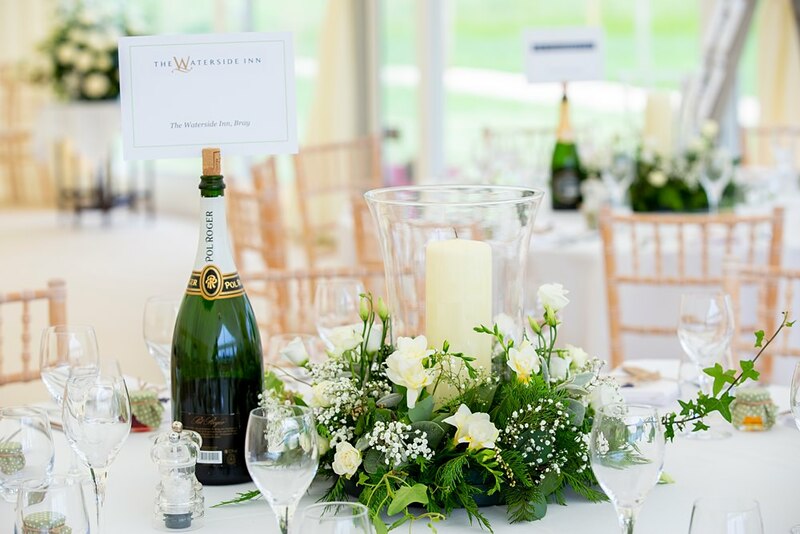 In the marquee think pretty pastel spring flower meadow, there will be elegant glass wear, gold cutlery, spring flowers in vases with touches of gold, lots and lots of greenery, our incredible oak bar in the round with ribbons and lots of candles. 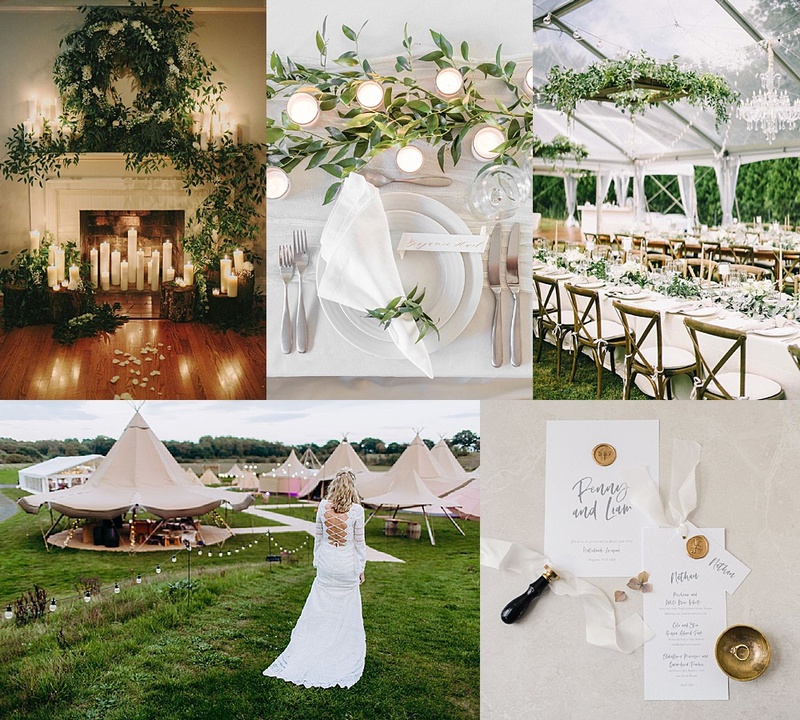 We are looking forward to showing you our elegant rustic Tipi, dressed with white spring flowers, rustic wooden touches, lots of greenery and so many candles! Think white blooms, smokey white glass wear, elegant charger plates, lots and lots of foliage with a white birch tree vibe. Its going to be beautiful! The concept and styling of the rustic Tipi and flower filled marquee is by Pretty Creative and Living Colour Floral Design, with stunning stationery by Knock Knock Penny Studios, gorgeous cake by That Cakes The Biscuit (in the marquee) and The Little Button Bakery ( in the Tipi), with table wear by Whitehouse Events, lighting by Lightech, light up letters by The Word is Love and bars by Cestrian Bars. Delamere Events;Living Colour Flowers, Pretty Creative, Cestrian Bars, Blue Loos, Little Button Bakery, Frank Henshall Photography, Lightech, The Word is Love, That Cakes the Biscuit, Knock Knock Penny Studio, Harry Jon MUA, Shikoba Bride, Hyacinth Vintage Ice Cream Van, Amorous Catering, Delicious Graze Streetfood, Whitehouse Event Crockery. Images that have inspired us have been sourced from Pinterest, please see boards above for more details and credits. 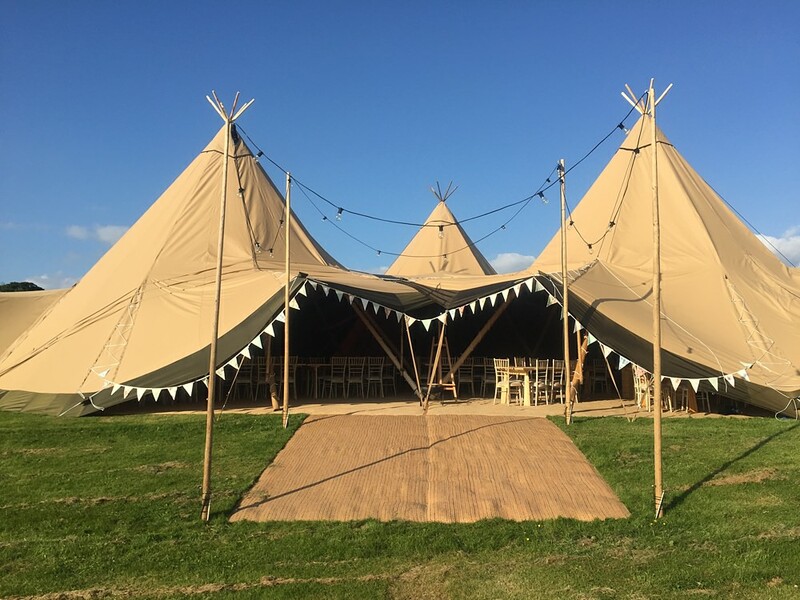 We are getting pretty excited for our Tipi and Marquee Spring Open weekend on the 15th/16th/17th March 2019 at Delamere Events in just a few weeks time! You can find out more about Open Weekend in March here. 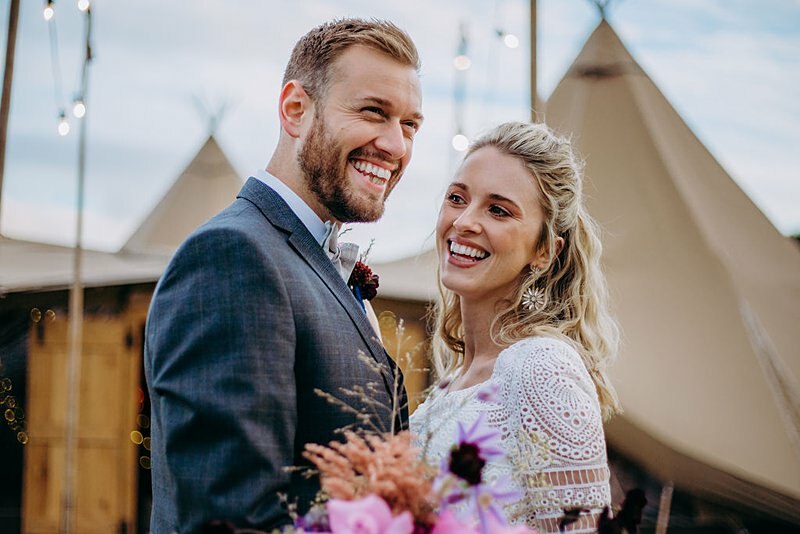 We thought we’d take a look back at the amazing All About Me weekend Last Autumn where we showcased our Wedding Tipi alongside our beautiful new marquees and decorated the space with a subtle stars celestial wedding inspiration. If you saw our last blog post we shared the tipis during that day, this weeks inspiration is when the sun goes down and the stars come out! Images by the lovely Terri Pashley Photography and feature local couple Rob and Jem. Last Autumn we showcased our Wedding Tipi alongside our beautiful new marquees, together in the one venue for the first time. We can hardly believe it but its already time to get ready for our next Open Weekend in March! 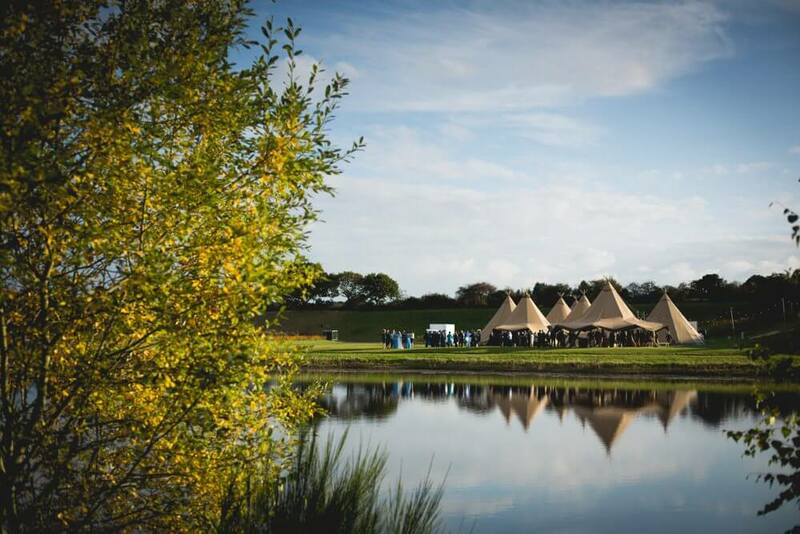 Once again we’ll be taking over the entire site at Delamere Events and turning it into an incredible display of Tipi and Marquee gorgeousness for the weekend of 15th/16th/17th March 2019. 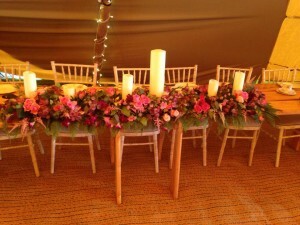 The idea as always, to show you how incredible your event or wedding can be in one of our versatile outdoor structures. In the days leading up to the showcase, we work so hard to get the place looking amazing, with the help of some of the industry’s best suppliers. 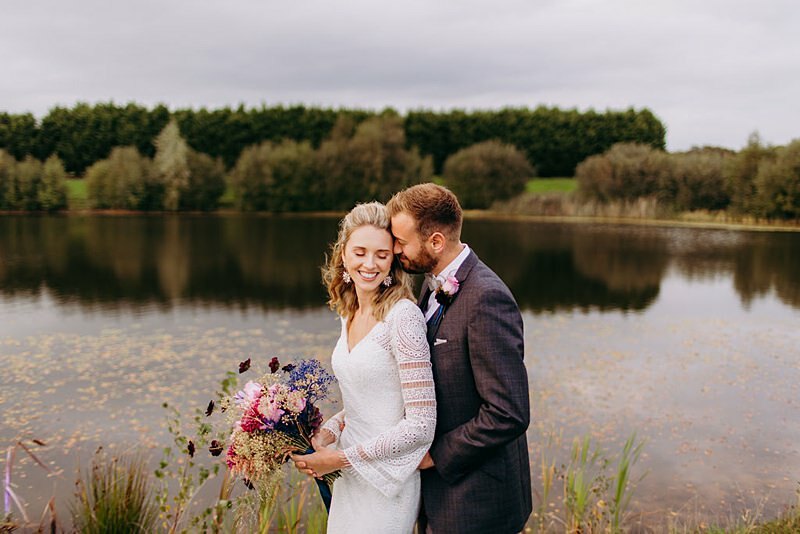 These lovely images are by Terri Pashley Photography and feature local couple Rob and Jem, who came along the day before the open day in October to capture these beautiful images with our amazing suppliers. The Quick Guide to What’s On at Our Open Weekend! September 27, 2018 / james / Comments Off on The Quick Guide to What’s On at Our Open Weekend! Our Quick Guide to What’s On at Our Open Weekend! It’s nearly time for our Epic Open Weekend!! 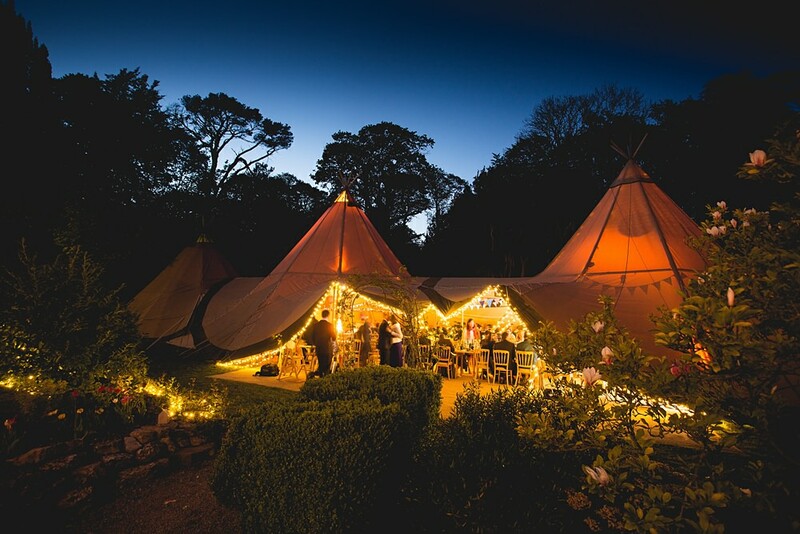 We cannot wait to show you round our beautiful Tipis and also our amazing new Marquees!!! Voted best marquee provider in the region for the fifth year running by our lovely customers, we are looking forward to helping you create your own dream event. We’ll be at Delamere Events on Friday 5th October (2pm – 9pm) and on Saturday the 6th and Sunday the 7th of October (10am – 5pm). Get in touch to pre-register (its totally free and you’ll get a goody bag). 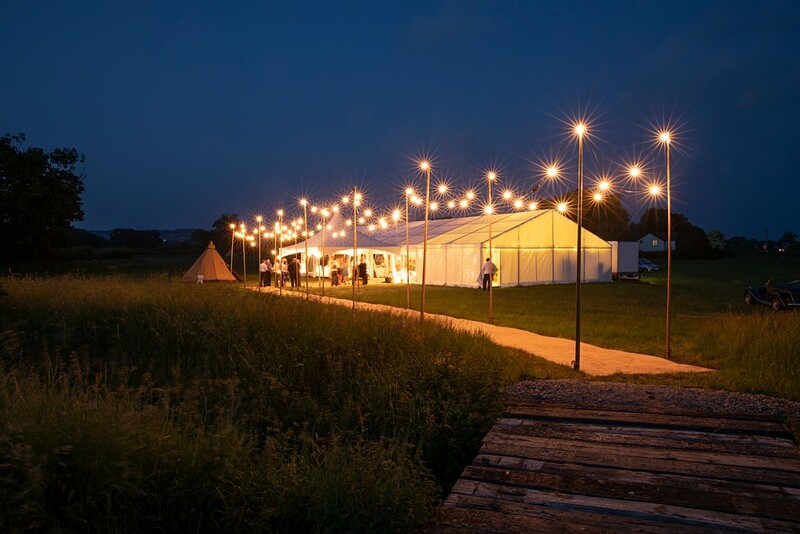 The tipis and marquees will be dressed up with florals, table settings, candlelight, cakes, light up letters, a dance floor, bar area, chill out zones, fire pits, fairy lights and so much more. Be inspired with ideas and see for yourself what you can do with these epic spaces. Here’s our quick guide of things to do and see while you are at our open weekend extravaganza!!! TIPIS OR MARQUEES? WE HAVE BOTH! We think its pretty unique to be able to compare these two beautiful event spaces side by side, which is your favourite, its a tough choice thats for sure! Both offer you the chance to create your own space just as you want it! 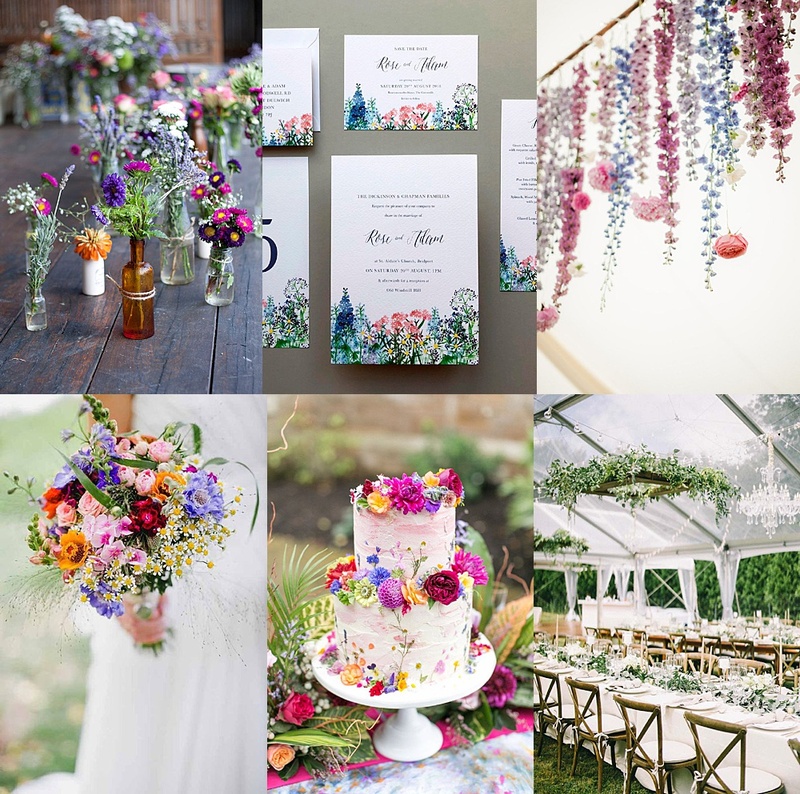 WHIMSICAL AND CELESTIAL FLORAL AND DECOR INSPIRATION…..
We are really delighted to announce that the award wining florist Joseph Massie Flowers will be working with our stylist Becca of Pretty Creative to decorate the tipi and marquee. 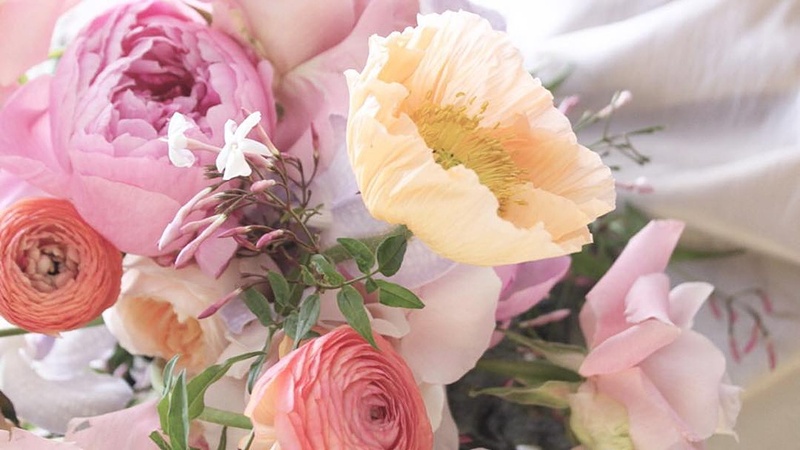 With a beautiful Whimsical English Garden look in the Marquee and a ‘Celestial Botanical’ look in the tipi, there will be so much to inspire you. They are being joined by That Cakes the Biscuit, Ever After Paperie, The Word is Love, Light Tech and Hattie Boo to add those finishing touches. 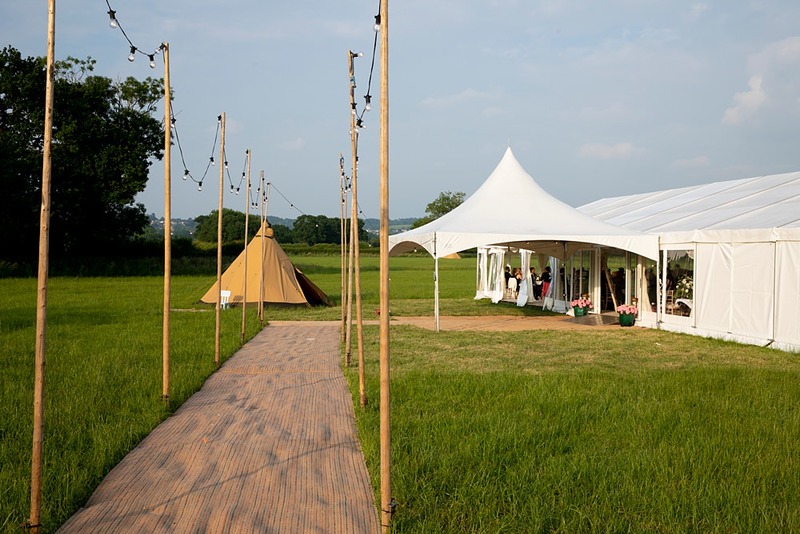 Looking to create a real statement at your event, why not go for a naked tipi! 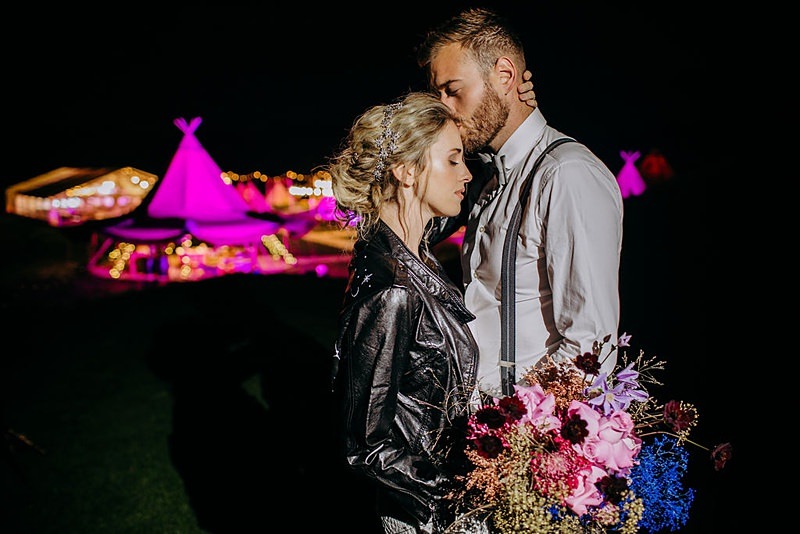 Ours will be next to the lakeside, adorned with fairy lights…the perfect outdoor chill out space, photo opportunity, blessing ceremony area and generally beautiful focal point at your event. We have a street food village this year, we are all about the food and drinks! Over the weekend we have some super tasty street food caterers coming along so you can sample what they have on offer and get ideas for your event. 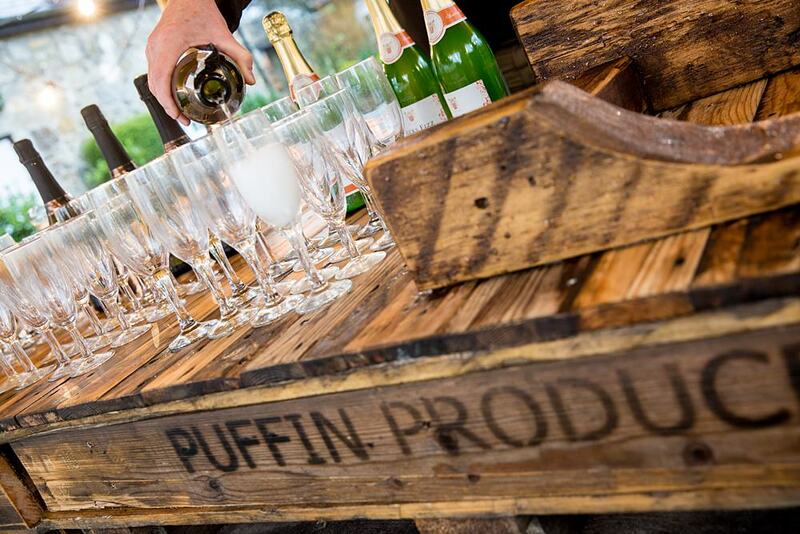 As well as event caterers Horseradish and bar services from Cestrian Bars too. We’ll also have the fire pits roaring away and an endless supply of marshmallows to toast! Set is it own little valley, our venue Delamere Events is home to Cherry Orchard Lake, a beautiful setting for your Tipi or Marquee event. Take a stroll around the place and imagine all the brilliant photo-opportunities there are here. We have a luxurious glamping village all set up and ready to be seen. Test out the comfy camp beds and see what’s included in our luxurious glamping packages, a right little home from home. Perfect for you and your guests to merrily fall into bed just a stones throw from the party. 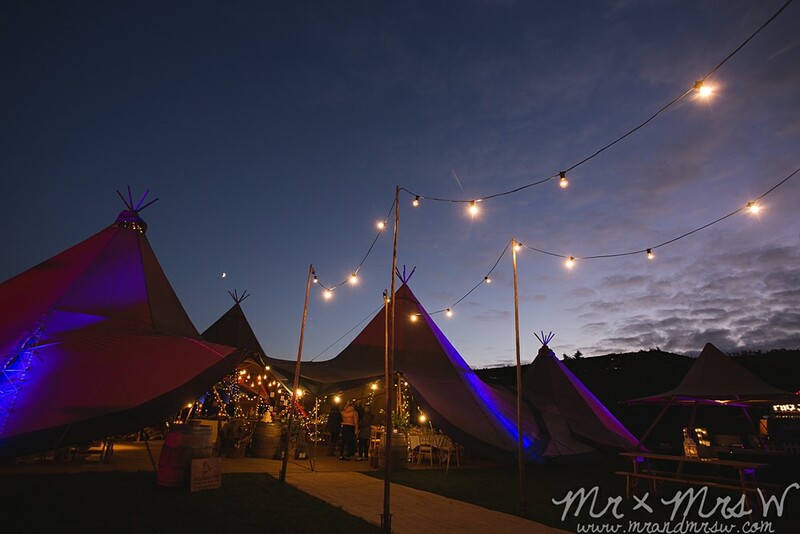 The amazing Lightech will be lighting up the venue ….catch the gorgeously lit Tipis and Marquee as the sun sets. Friday night we stay open later so you can come along after work and see just how magical these spaces are after dark. We are a super friendly team, passionate about what we do and love nothing more than chatting tipis, marquees and events. Bring a big list of questions for us and we’ll be delighted to talk it all through. Get in touch to let us know you are thinking about coming along. 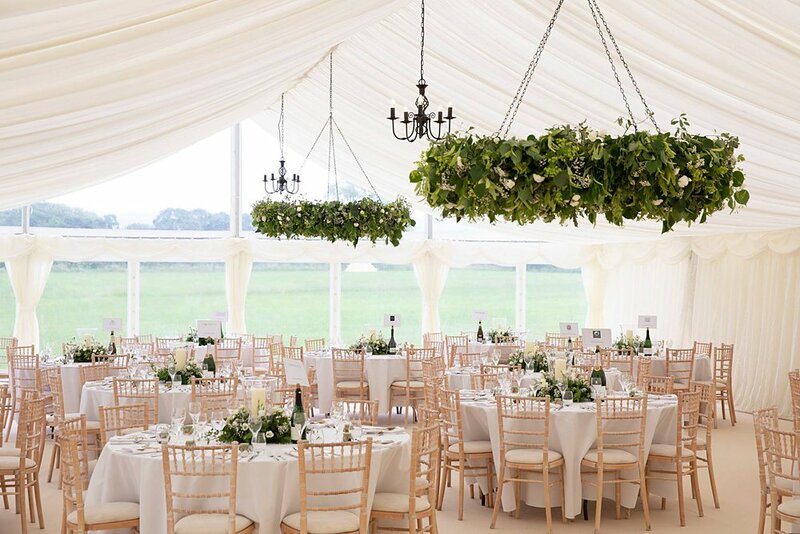 With just a few weeks till our amazing, bigger then ever before open weekend, we asked our stylist Rebecca from Pretty Creative to give us some of her top tips on styling your wedding marquee. Our Tipi and Marquee Open Weekend takes place on Friday the 5th October (2-9pm), Saturday 6th and Sunday the 7th Oct (10-5pm). Get in touch to pre-register for your goodie bag! 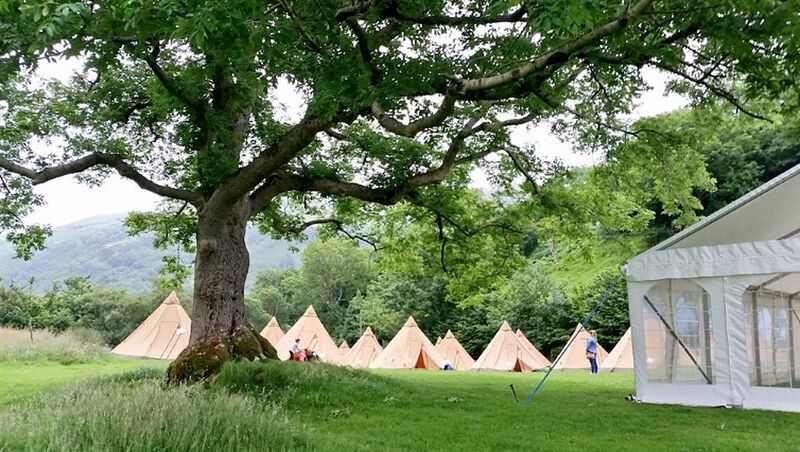 We are the only Open Weekend in the Northwest where you can see Tipis and Marquees side by side in a stunning lakeside setting, along with an entire Glamping and Street Food Village. We also cover the whole of the UK! 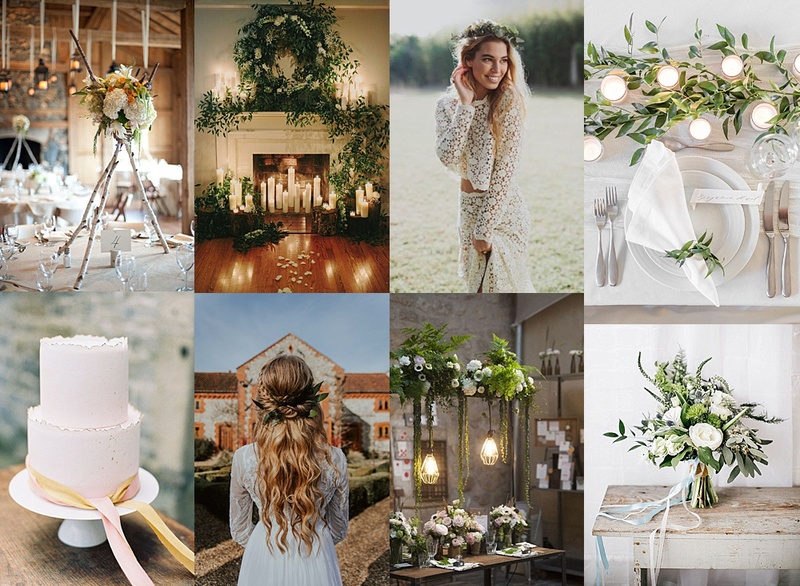 I’m so excited about styling the open weekend and I think its so lovely to make a statement with the entrance to your beautiful wedding marquee. It doesn’t have to be elaborate but creating a focal point at the entrance, leads the eye in and gives a sense of arrival. You could create an entrance with a clear span frontage. Place potted bay trees, hung with tea lights, or flower arrangements on barrels either side of the door. Cluster hurricane lanterns next to them to be lit at night for your evening guests too. Add some attractive seating areas that go with your theme to finish the look. You could also create a walkway to your marquee, lined with hanging lanterns, which look magical at night too. 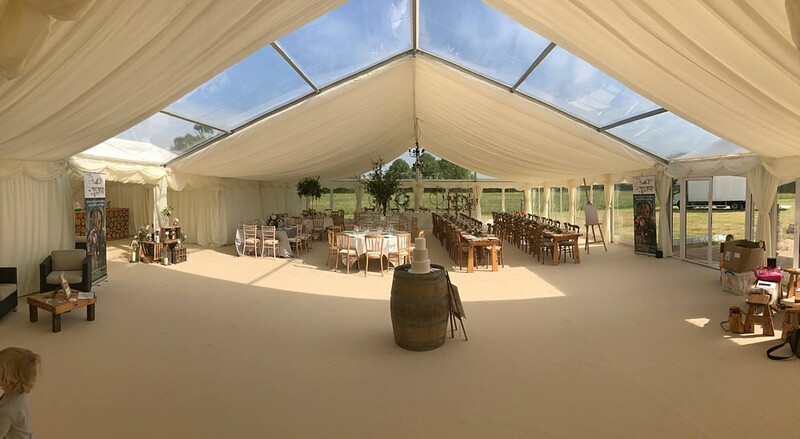 Marquee wedding are so versatile and unlike a venue in a building, your marquee is a total blank canvas, the perfect space for you to design. 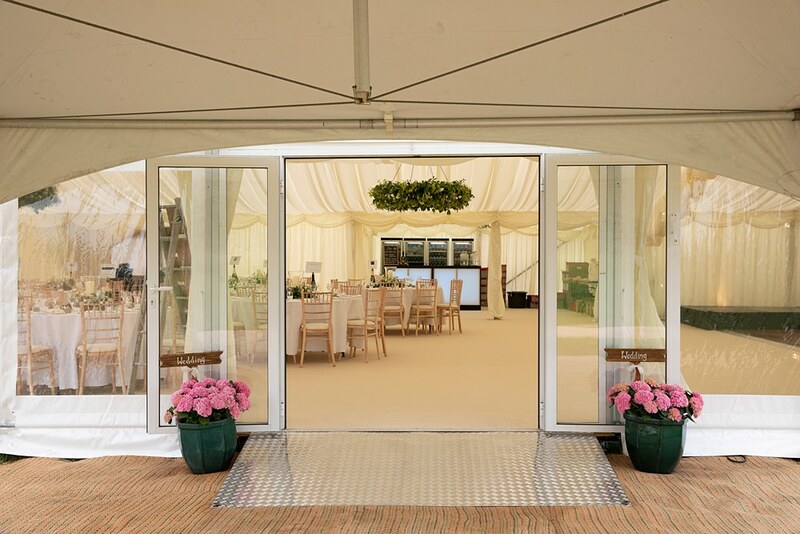 You can decide how big you want it, where you want the marquee and then exactly how to use the space. Thinking about what will be happening on the day, you can create different spaces to make the most amazing day. A welcoming entrance area with seating, perhaps hire some cool sofas and low tables, you need a great bar area of course, maybe near the seating, a dance floor with plenty of room for everyone to join in. Eating is probably pretty key! So think about how you want the tables arranged and how they can be adapted later on in the evening as the use of the space changes. If you have a spare zone, think about adding an extra bit of fun for you and your guests, a glitter station, a Photo Booth or maybe a gin or Prosecco station. 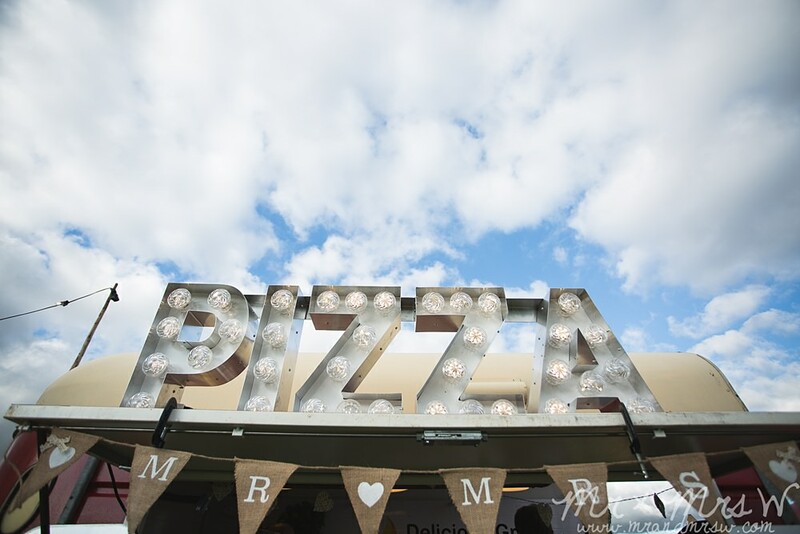 I love the clear span sections that you can add into the All About Me wedding marquees! In the day you can look up to the skies, watch the clouds float by, the sun going down and the stars at night. You can also create stunning focal points with features such as hanging floral hoops above the round bar, or hang cool addison oak lighting beams with foliage, chandeliers and strings of festoon lighting, all create atmosphere and the wow factor. Lighting in your wedding marquee can be so magical. 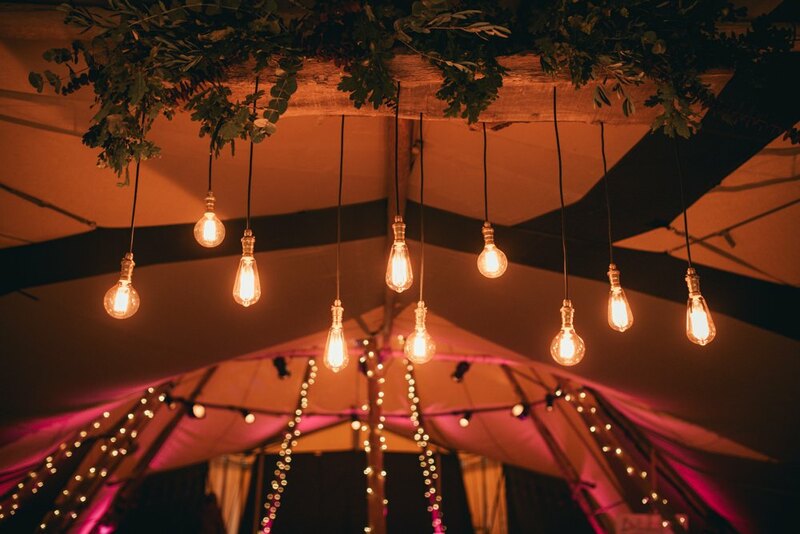 From festoon lighting, pealights, twinkly fairy lights, colourful up lighters, light up letters, candle light and stunning hanging candelabras and chandeliers. Lighting creates ambience and atmosphere and is just so pretty. Decorate with Stylish Linen, Flowers and Stationery. 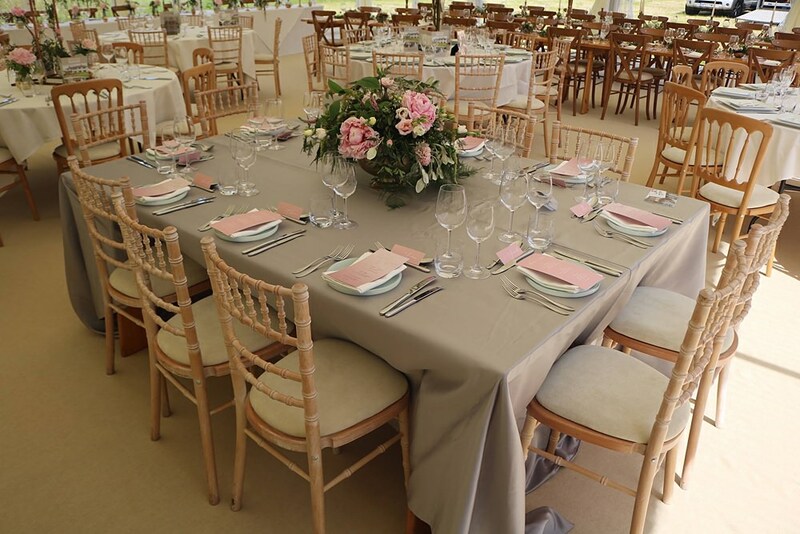 Finally, its a simple one really but gorgeous flowers, linen and stationery can tie the whole feel of the wedding marquee together. It can be as elaborate or as simply elegant as you want. 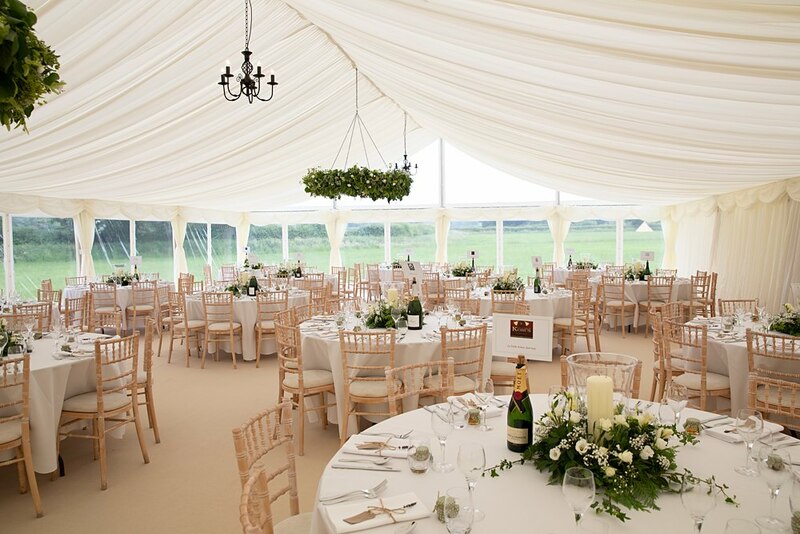 Linen and florals soften the space even more and tie everything together for the perfect finishing touch to your wedding marquee! 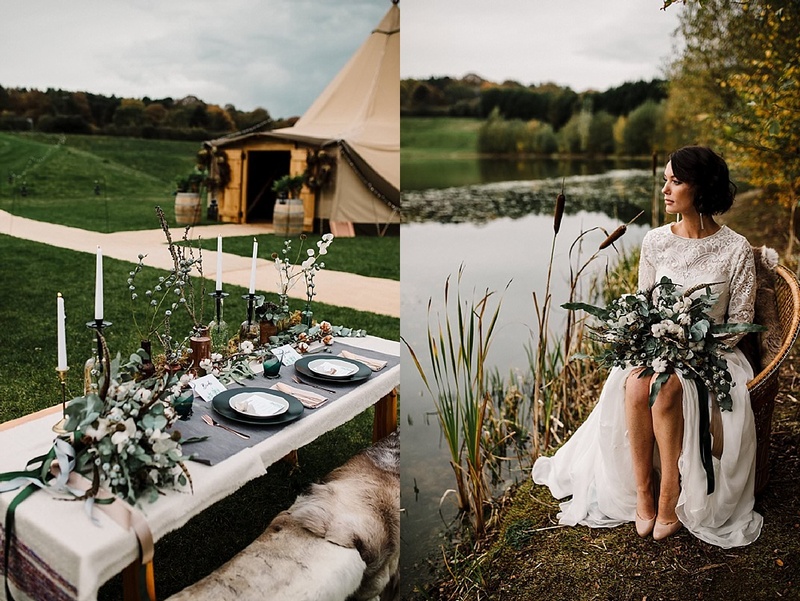 So as we head into 2018 we asked Heather for her top predictions for the hottest floral wedding trends in 2018 for amazing tipi weddings. 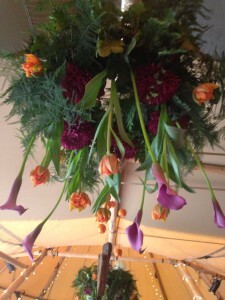 All these images feature her gorgeous flowers. 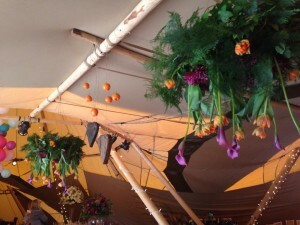 The Tipis at the Open Weekend looked radiant thanks to Living Colour Floral Design. 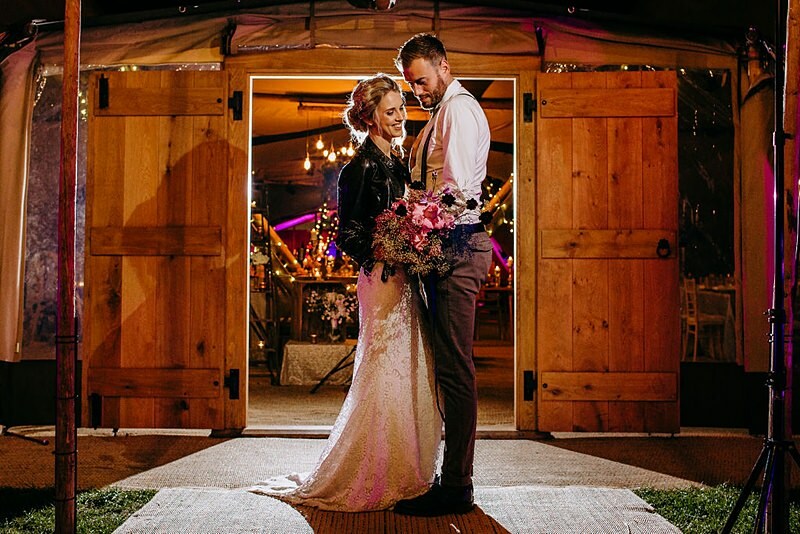 Heather works with All About Me and Tipi Weddings a lot, so is an expert at knowing what looks just right. 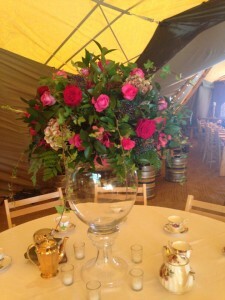 Her floral displays are just stunning, and she makes our Tipis look beautiful at every open weekend. We owe a massive thank you to Heather, and it goes without saying that we highly recommend her. 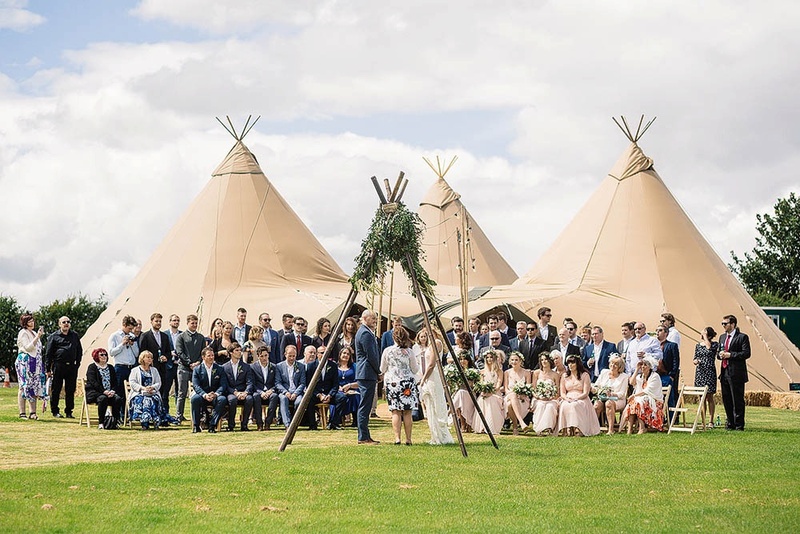 If you are looking for a florist for your Cheshire wedding, especially if you are having a Tipi Wedding, call Heather on 01925 269783 and have a chat. Or checkout her Facebook page for some more great photos of her creations.